Minneapolis, MN – The YMCA of the Greater Twin Cities, a leading nonprofit dedicated to strengthening communities through youth development, healthy living and social responsibility, will celebrate the grand opening of a new Early Childhood Learning Center in Lakeville on October 10. This new YMCA Early Childhood Learning Center is located on 16331 Kenrick Avenue in Lakeville, MN, and will serve 150 children in the south metro community. There are currently 10 other Y Early Childhood Learning Centers in the greater Twin Cities where 98 percent of graduating YMCA Preschool & Pre-K students surpass local school district Kindergarten readiness requirements. The YMCA Early Childhood Learning programs are rooted in the Y’s core values of caring, honesty, respect and responsibility. From those basic values comes a child care experience designed to develop a child’s potential through creative, intellectual, emotional, social and physical skills while they grow. They Y’s Learn Through Play is based on children learning a lot through interaction and exploration because playing is learning. For example, tea time builds organizational skills, playing with blocks teaches innovation and so on. These activities help to develop skills like critical thinking, communication and creativity. The Y offers a warm and welcoming environment in which every child can thrive. Most importantly, children have a place to grow with the guidance of caring adults while their parents are at work. Attendees will have the opportunity to tour the new Early Childhood Learning Center, hear from YMCA and community leaders on the importance of this new Center serving families and enjoy special entertainment by the youth participating at the Center. 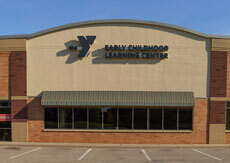 For more information on the Lakeville Early Childhood Learning Center, visit www.ymcamn.org/lakevilleeclc. The YMCA of the Greater Twin Cities is a leading nonprofit dedicated to strengthening communities through youth development, healthy living and social responsibility. Established 161 years ago, the Ys provide life-strengthening services across the greater Twin Cities metro region, southeastern Minnesota and western Wisconsin communities. The 29 Y locations and program sites, eight overnight camps, 10 day camps, and more than 90 child care sites engage more than 350,000 men, women and children of all ages, incomes and backgrounds. To learn more about the Y’s mission and work, visit www.ymcamn.org.